Admit it. Nothing is even half as entertaining as gaming on a large HD screen. That’s why we’ve always wanted them bigger and crispier; even since back in the day when Super Mario running on 13 inch CRT TVs was pretty much all we dreamt about. Well, you can argue that VR gaming is better, but’s let’s face it- that’s essentially one huge screen too. Nothing more. This infatuation with large displays, unfortunately, comes with one significant drawback. It turns out big doesn’t come cheap. Especially when it’s in HD. A solid gaming LED or OLED HD TV with a screen larger than 50 inches costs you thousands of dollars. A price tag that can easily afford you a super gaming rig. So, tell you what. You can get a much bigger HD screen at a substantially lower price. The trick is simply going for the best gaming projector instead of a regular TV. That way, you get to save money for upgrading your gaming rig. Now, forget about the projectors traditionally used in cinemas and meeting rooms. There’s an exceptional blend of gaming projectors that are progressively revolutionizing the whole scene. They come with the whole package- from crystal clear full HD resolution to 4K image quality, built-in speakers, suitable contrast ratio, universal compatibility, you name it. But, here’s the problem. Choosing an ideal projector for gaming is not easy at all. There are hundreds, probably thousands, of TV projectors that would seem decent at first, only to disappoint you when it comes to the actual gaming. To make matters worse, not many people know a thing or two about gaming projectors. Consequently, there’s a lot of misinformation out there about the selection approach. 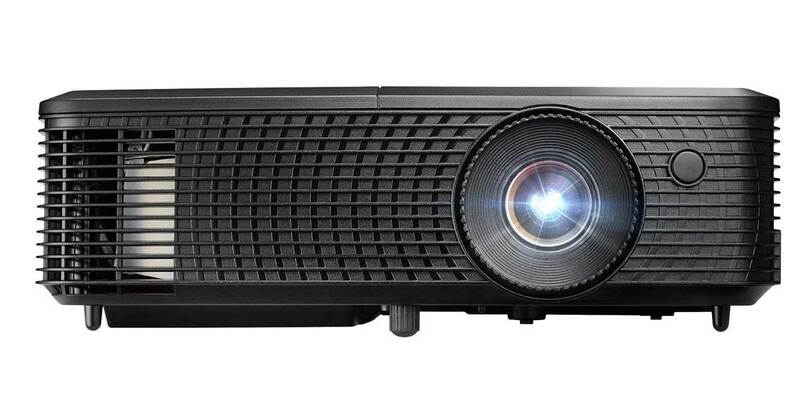 So, to save you the trouble, we’ll walk you through the current best projectors for gaming. Plus of course, all their principal features relevant to your gaming experience. Then, to help you sharpen your assessment abilities, this piece also discusses all the fundamental elements of TV projectors. Make no mistake here. It may be selling as a “Home Cinema” projector, but the Epson PowerLite Home Cinema 2040 can also deliver a smooth gaming experience. At a cost of about $700 on Amazon, think of it as one of the best mid-range projectors for gaming. It comes from Epson, a renowned global brand that has been in the tech device space for a couple of decades now. That said, one of the principal things that will strike you is the projector’s sleek external design. It’s white in color and comes with stylish, elegant curves flanked by vents on the sides. When you plug it in, you’ll notice that it projects an impressive 134 inches of display size from 12 feet away. Nevertheless, about 90 inches of display should be good enough for larger-than-life-gaming. You can attain this by placing the projector 8 feet away from the screen. But the room doesn’t have to be pitch dark. 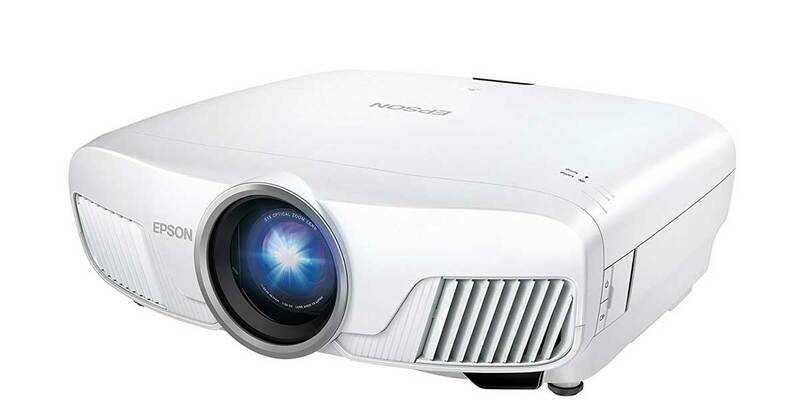 With a brightness of 2200 lumens at 1080p resolution, the Epson 2040 projector can function quite well in a standard room with average lighting. Combine that with its contrast ratio of 35,000:1 and you have yourself a remarkable display of both the whitest and darkest parts of your gameplay. And speaking of rigs, the Epson Home Cinema 2040 can be connected via either of its two HDMI ports, composite RCA, two regular RCAs or VGA inputs. In addition to that, you can stream the content directly to any devices with MHL. Yet another Epson gaming projector. It looks just as good as the 2040, with a smooth white surface, rounded edges, plus vents on one side. 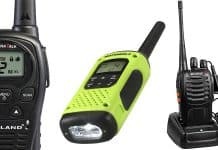 The 5040Ube, however, is about thrice as costly. And there are several reasons why. For starters, this is not a typical mid-range projector for gaming. It’s a cutting-edge machine built for the gurus- advanced users ready to spend on the best projectors for gaming. It goes beyond 1080p to provide crystal clear life-like 4k resolution thanks to the Epson PRO UHD technology. And that’s not all. It turns out you don’t even need a 4K game to view that image quality. The projector’s 4k enhancement technology picks up non-4k graphics, then processes and upscales them to display full HD. For detailing of both dark and bright images, it relies on a contrast ratio of 1,000,000:1. Its complete 10-bit color output comes in handy to support a wide range of vibrant shades. The resultant content is visible in a moderately lit room owing to the projector’s brightness level of 2,500 lumens. And this applies to both 2D and 3D. 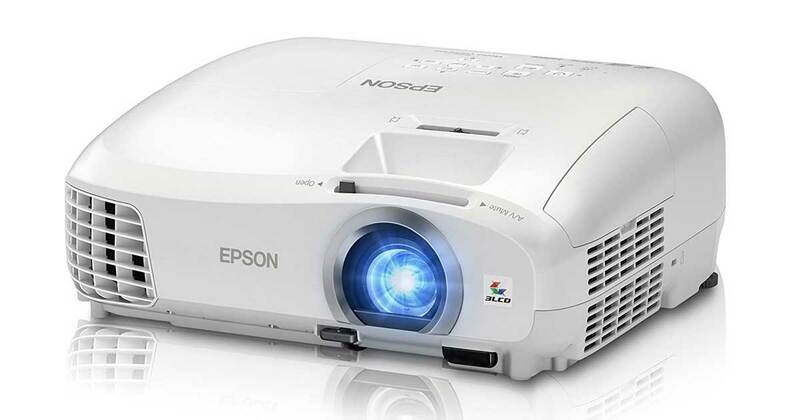 The Epson PowerLite Home Cinema 5040Ube is also quite versatile when it comes to other devices. 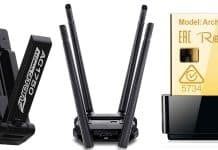 It can be connected through its RS-232c port, VGA port, Ethernet port, mini USB port, two USB ports, HDCP 1.4, HDCP 2.2, and two HDMI ports. Relatively substandard contrast and black levels. 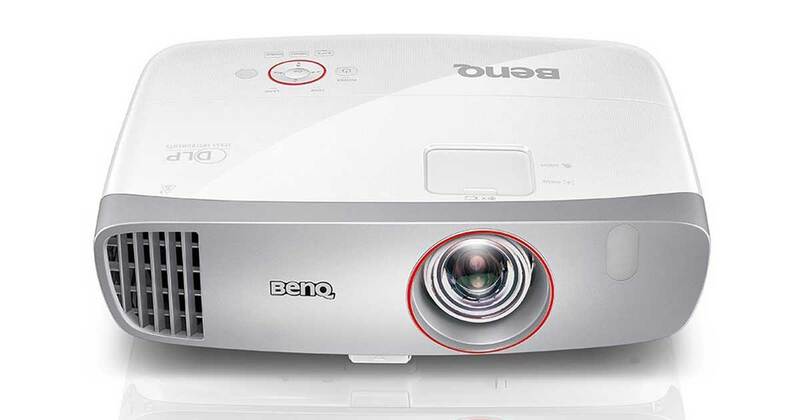 The BenQ HT2150ST is ideal for gamers seeking a well-priced but quality short-throw projector- hence the initials “ST”. Quite simply, short-throw means that this projector can display crisp 100-inch images from just 5 feet away. Perfect for an immersive gaming experience in your bedroom. But, how good is the quality? Quite impressive to say the least. It combines a contrast ratio of 15000:1 with high brightness levels of 2200 ANSI lumens. The end result is just the right balance of shades at 1080p full HD. Its image colors, on the other hand, are handled by its six RGBRBG color wheels. 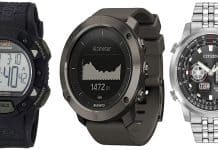 In fact, you’ll be pleased that they have been specifically optimized for gaming. The best feature, however, is the low input lag time. It’s ideally supplemented by dedicated gaming modes to deliver a seamlessly responsive all-round gaming experience. With this projector, you can sell your external speakers and still manage to game comfortably. Its two 10W speakers that have been built-in come with BenQ Cinema Master Audio. In other words, think of them as Hollywood-like speakers. 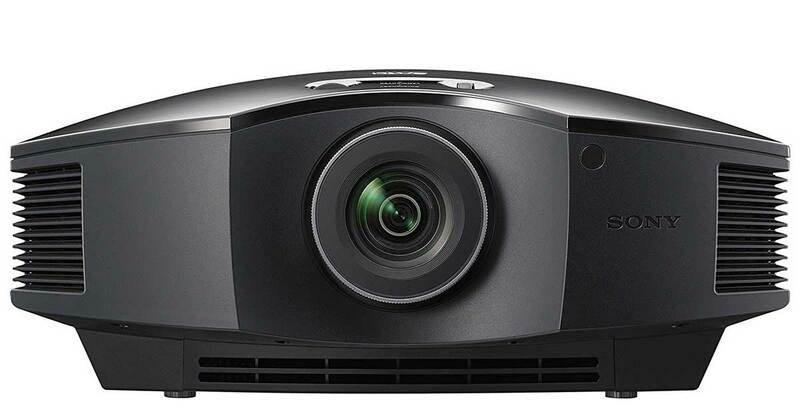 Now, combine all these features with the projector’s DLP technology, and you begin comprehending why it scooped Projector Central’s 2016 Editor’s Choice Award. In layman terms, DLP simply means that it provides displays that are literally immune to progressive image decay. Consequently, you can rely on the BenQ HT2150ST for persistent gaming quality. Ok, we’ve mentioned 3D few times already. How about looking into a true 3D machine? Well, it comes from Sony. And it’s built to provide a gaming environment similar to Sony’s IMAX-3D cinematic experience. To achieve this effectively, it complements MotionFlow technology with advanced SXRD panel technology. The former significantly minimizes motion blur to help you game with crisp and sharp images even on a large 300-inch display. SXRD panel technology, on the other hand, works well with Sony’s Super Resolution technology. It details colors and textures comprehensively to deliver crystal clear 1080p images. The corresponding color and white brightness levels are at 1800 lumens. Essentially translates to a well-illuminated display in a mildly dark room. That said, your buddies will also love this gaming projector because they’ll be able to join in comfortably. You don’t need to reposition the whole thing to accommodate different viewing angles. 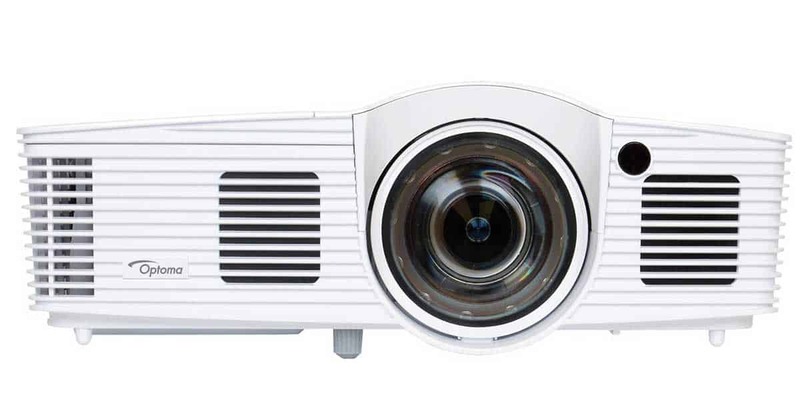 The projector’s lens can be simply shifted up to 25% horizontally and 71% vertically. And speaking of adjustments, there are nine different modes for cinema, gaming and other presets. That basically saves you the trouble of tweaking multiple settings. Live in a small apartment? Or perhaps you’d like to enjoy projector gaming in your campus room. Well, this is just perfect for that. The LG PF1000UW Ultra Short Throw will not eat into your space. All you need is a couple of inches and voila!, an astonishing 60-inch 1080p full high definition image from just five inches away. And that’s not all. All this is achieved in a 150,000:1 contrast ratio. So, of course, you’re guaranteed a clear and vivid image display. However, with only 1,000 lumens, your room has to be dark to enjoy seamless gaming. And that, you bet, is quite achievable in a small space. Apart from that, you can rely on this projector to act as a smart TV. It comes with the award-winning LG webOS 3.0 Smart TV feature, which connects to the internet. This grants you access to numerous prominent streaming applications through a straightforward interface. LG also prioritized on durability as they developed this projector. It turns out that its lamp life extends to 30,000 hours. Consequently, you may not need a replacement bulb for almost a decade. And by then, I assume, we’ll have already crossed over to another generation of gaming projectors. The smart TV capability provides access to multiple streaming services. ViewSonic is arguably a little-known Taiwanese and American company. But, don’t let that fool you at all. The corporation means business when it comes to visual-related tech. And the ViewSonic PRO7827HD Rec. 709 is a great example why. 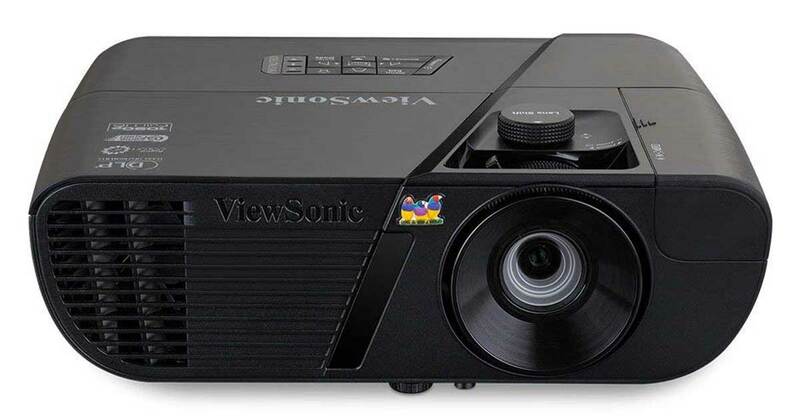 Previously, it sold as the ViewSonic PRO7827HD. Then it was subsequently upgraded and renamed to ViewSonic PRO7827HD Rec.709. Now, make no mistake. These two are not exactly the same. Rec. 709 essentially means that the projector satisfies all the international color standard requirements. As a result, it boasts of vibrant images with a corresponding rich range of colors. You can enjoy all that in a moderately-lit environment, owing to the projector’s brightness of 2200 lumens. Then it’s further supplemented by a dynamic contrast ratio of 22,000:1. As you’ve probably guessed by now, the “HD” suffix means that the ViewSonic provides full high definition clarity of 1080p. Combine this with the projector’s 10W built-in speaker and you’ll be able to experience a complete gaming environment. 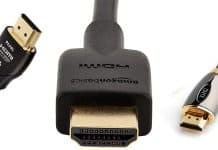 In addition to that, you can connect as many as three consoles through its 3 HDMI ports. It also provides S-Video, VGA, Component and Composite inputs. Then, in case you’d prefer gaming in your headphones, this projector comes with a 3.5mm audio jack. Forget about multipurpose projectors that happen to also handle gaming beautifully. The Optoma GT1080Darbee was built with one thing in mind- HD gaming. Quite outstanding, you’ve got to admit. However, that’s barely enough to qualify it as the finest. There are a number of crucial factors we collectively considered before awarding it the best projector for gaming of 2019. Let’s start with pricing. At slightly over $700, the Optoma GT1080Darbee falls within the budget range of most advanced gamers. But, what exactly does this get you? For starters, it provides great performance. Its Enhanced Game Mode reduces the overall refresh rate to an amazing 16ms, which drastically improves response. Combine that with 1080p full high definition, 3,000 lumens, plus 28,000:1 contrast ratio- and you get remarkable visuals on all types of games. When it comes to colors, you can rest assured that they’ll always be stunningly accurate and vibrant- thanks to the projector’s Rec.709 HDTV color gamutHello. The Optoma GT1080Darbee is also a short-throw projector. It supports a throw ratio of .49, which is fairly adequate for sharp image casting in limited spaces. In fact, you can capitalize on this from a wide range of external devices. The projector’s versatile ports can connect to Apple TVs, Amazon Fire Sticks, Google Chromecast, set-top boxes, Blu-ray players, games consoles, and many more. All things considered, however, the Optoma’s DarbeeVision is the strongest feature here. It’s essentially a next-generation processor that holistically boosts graphical depth and textures in HD while you game. At the beginning, we’ve mentioned that we fell in love with projectors fundamentally because of the comparative value for money compared to large TVs. But then again, having featured projectors that cost at least $700, the whole concept of affordability admittedly feels like a mirage to low-budget gamers. So, let’s look into the best possible projector you can get on a budget. And again, it’s an Optoma. This time round, however, it’s the HD142X 1080p – which costs slightly over $500. Well, to be honest, there are many projectors you can get for that price. But, the Optoma HD142X 1080p is quite exceptional when it comes to the corresponding features. As you’ve probably figured out from the name, we’re dealing with a 1080p machine. It can handle full high definition at 3,000 ANSI lumens, plus a contrast ratio of 23,000:1. In a lit room, therefore, it displays clearer images than the bulk of costlier options we’ve already reviewed. And get this. This projector doesn’t display only in 2D. It turns out it can also handle 3D gaming. All you need is 8 feet of space to project 66-inch images. And for larger-than-life gaming, you can extend it to 107 inches display from 12 feet away. Quite a solid list of the best projectors for gaming we have here. Although it features all the principal categories, let’s face it. The projectors might not be exactly what you’re looking for. Perhaps you’d like to get a cheaper unit. Or, you’re thinking of going big by getting a projector worth thousands of dollars. It could that all these projector models are unavailable in your region. 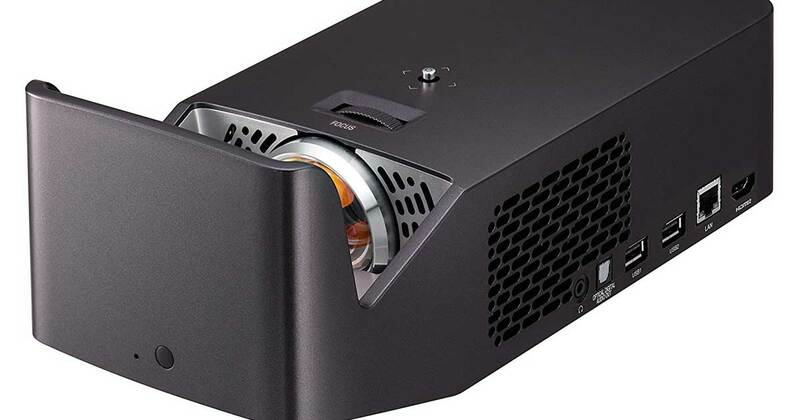 Whichever the case, we’ll help you identify the most suitable projector for gaming for you – by exploring all the basic elements you’ll need to critically assess a projector. While long throw projectors cast images from standard cinema-like distances, short throw projectors can be placed close to the screen. Think of brightness as the image quality produced by a projector in a lit room. Models with high ANSI lumens can provide clear image projection even in daylight, while low ANSI lumens means low ambient light level. This basically refers to the difference between the bright and dark parts of the image. The higher the contrast ratio, the clearer the corresponding shadow and white details of the image. The screen is the surface on which a projector casts the image. Although you can pretty much use a white wall as one, the best picture quality is only achieved on dedicated screens. LCD (Liquid Crystal Display): Known for their relatively high energy efficiency, LCD projectors are predominantly bright. They provide sharp images in well-lit environments. DLP (Digital Light Processing): DLP projectors adapt well to motion pictures. This technology minimizes the level of motion blur to produce smooth videos in high contrast. LCoS (Liquid Crystal on Silicon): This technology achieves the collective benefits of both LCD and DLP. Consequently, LCoS projectors will produce sharp and smooth videos in high contrast. And the can handle well-lit rooms quite well. Going by these gaming projectors alone, we can safely conclude that various manufacturers are progressively improving their models to adapt to the changing user needs. How gaming projectors have managed to keep up with the exceedingly complicated gaming industry is quite commendable overall. One particularly significant benefit of having multiple manufacturers in this space has been increased levels of competition. We’ve seen brands like Optoma come out of nowhere to beat seasoned tech veterans like Sony and other dominant brands. On the flipside, however, the status quo might change pretty soon. Maybe sooner than you think. But, trust us to keep you posted on developing trends in both gaming and specialized projectors.